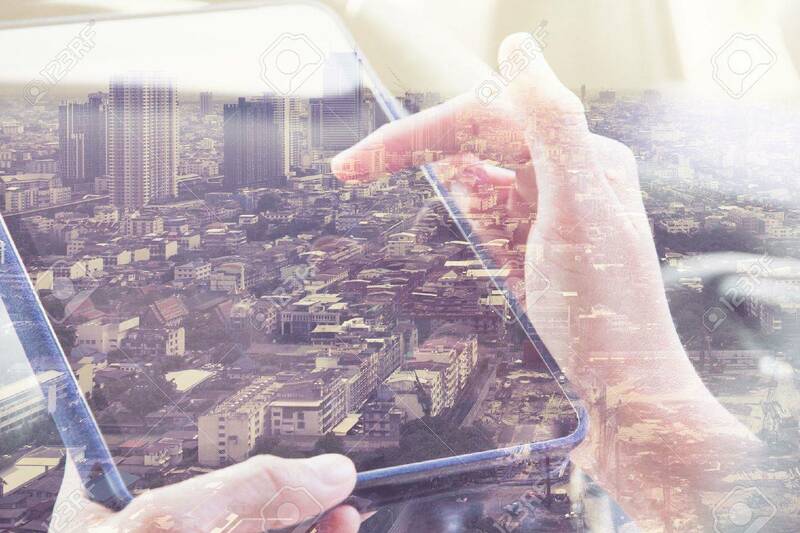 Using Digital Tablet Double Exposure And And Cityscape Background... Stock Photo, Picture And Royalty Free Image. Image 46413082. Stock Photo - Using digital tablet double exposure and and cityscape background. Business technology concept.